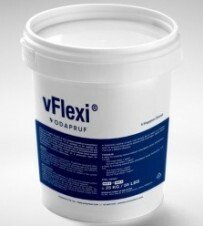 VSEAL is the distributor of highly flexible 2 part polymer modified vFlexi cementitious waterproofing membrane. It can be used on concrete and mortar to avoid water penetration by sealing the pores and hair line cracks of the substrates. vFlexi is a breathable coatings which do to trap the water vapour transmission. Hence, it will not cause the blistering issue. vFlexi could also serve as a protective later for the concretes. Contact us to get more details about vFlexi cementitious waterproofing membrane. What is cementitious waterproofing ? Cementitious waterproofing refers to cement-based waterproofing. It is recommended that surfaces be free from dirt or foreign materials. For the waterproofing to work best, manufacturers recommend the surfaces be sand blasted, bush-hammered or acid-etched. This will insure maximum contact with the surfaces and 100% waterproof. Cementitious waterproofing is applied in two coats. The first coat could include the manufacturer’s materials only. The second coating will include a cement-sand mixture and also have chemical and metallic elements too. If supplementary waterproofing is required, then a third coat may be required. This typically includes sand and cement for that extra protection. There are three methods of applying this type of water proofing. Trowel -This technique derives its name from the tool used, a trowel. Application of the coating is done using the handheld trowel, by simply applying and spreading the coating using the trowel. Spraying - This method uses spraying equipment much like the ones used in painting industrial vehicles. It is preferred due to its precise finish and efficiency. It is also faster to use the spraying technique rather than the trowel method. Brush - This technique uses a typical brush similar to roll brushes that are used in painting houses. It also has a uniform finish and is faster to use compared to the trowel. It is good to note that different surfaces will dictate the method of application. All of the methods are effective in delivering a superb cementitious waterproofing. Easy to use – It is extremely simple to make the cement mixture. All you need to know is what ratio of powder and water to use and this is usually given by the manufacturer. Easy Application – The methods for application, which include trowelling, spraying equipment and brushing, are simple and effective. Accessibility – Cementitious waterproofing products are available in stores and specialised dealers across the country. Paintable – After application, the result is improved by applying a paint coat to improve the visual appeal. Affordable – This method of waterproofing is cheap. Efficient – Cementitious waterproofing is effective in terms of resistance to corrosion and extreme weather elements. Last but not least, it can be applied either as a negative or positive side waterproofing. Cementitious waterproofing can be used in water treatment plants, bridges, dams, railway and subway systems, sewerage systems, tunnels, parking lots and basements. Talk to us today to see how cementitious waterproofing system can help enhance your property.